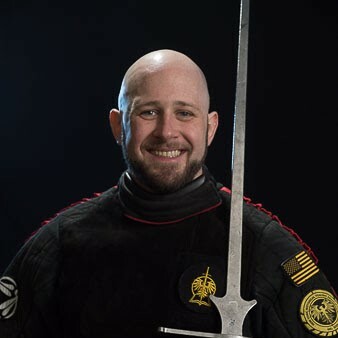 Toby Hall is a New York Historical Fencing Association instructor based out of NYC. He is a lifelong student of martial arts including Jujutsu, Japanese Sword Arts, and Sport Fencing. Toby’s practice of Longsword focuses around Early Kunst des Fechtens, and emphasizes study of historical text, test-cutting, and competitive fencing. He has taught seminars at prominent HEMA events across a wide variety of topics from fencing technique to teaching pedagogy and event staffing. When he’s not holding a sword, he’s an avid practitioner of CrossFit, Bouldering, and sprinting through New York’s subway stations.